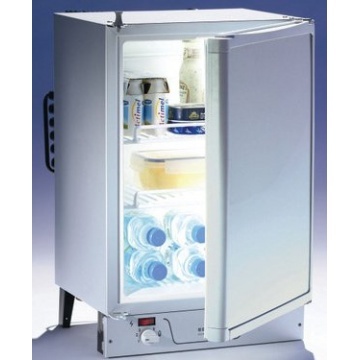 Dometic RM 123 absorption fridge is very popular with the owners of vintage campervans, such as VW split screen, bay window or VW T25. 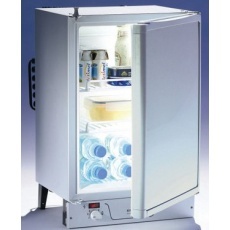 Just 380 mm wide, the slim Dometic RM 123 is the smallest RV absorption refrigerator ever built worldwide. It will easily fit in the tight kitchenettes of most campervan conversions, old and new. Door with magnetic seal and security latch. Power Source 12 volt, 240v and gas. Electric consumption @ ambient temp +25°C 1.5 kilowatt / 24 hrs. Gas consumption @ ambient temp +25°C 170g / 24 hrs.